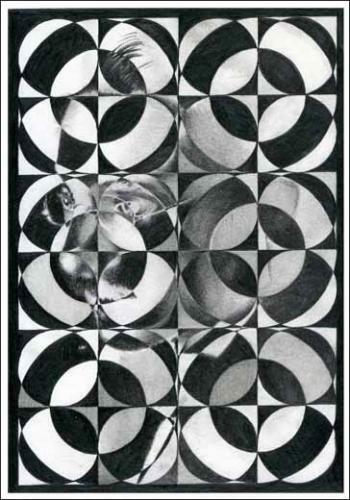 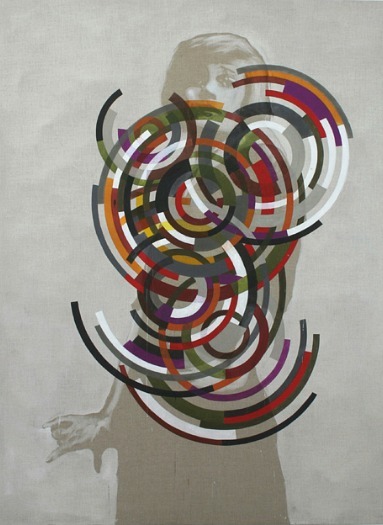 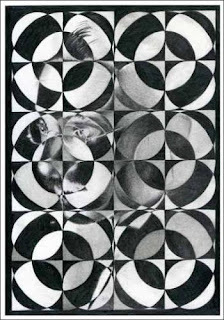 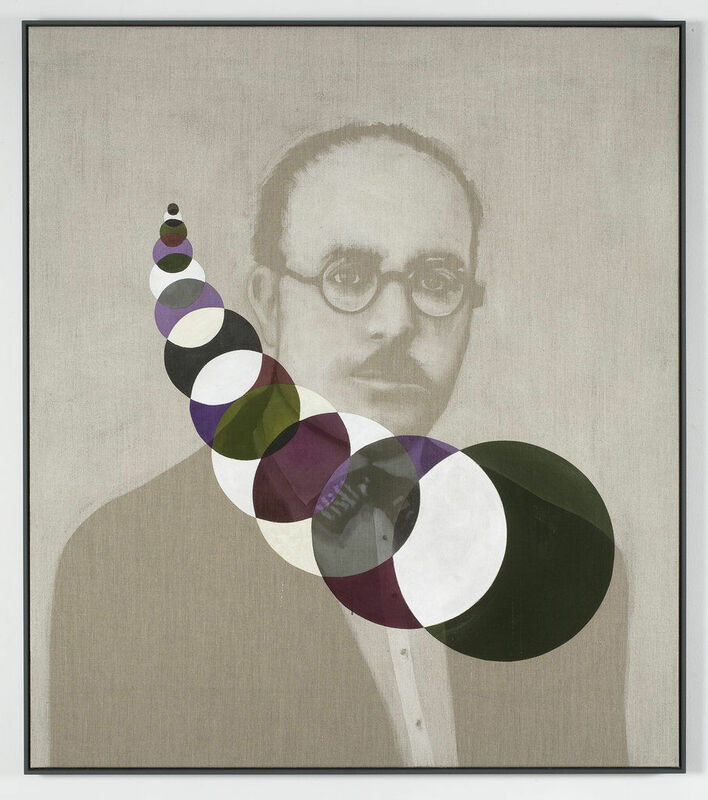 Matthias Bitzer's works are a fusion of painting, sculpture and drawing. 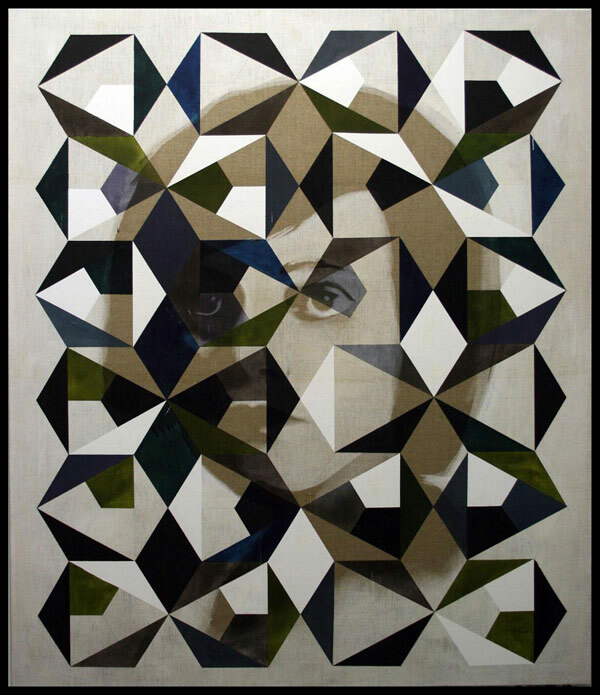 This young artist reflects back to historical biographies and juxtaposes questions the construction of identity of the past and present. 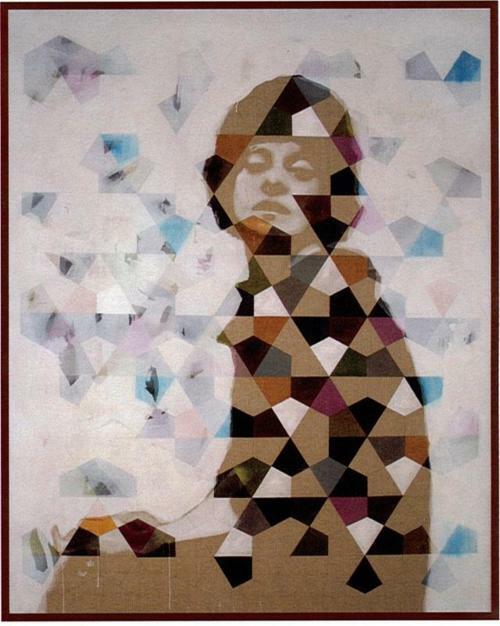 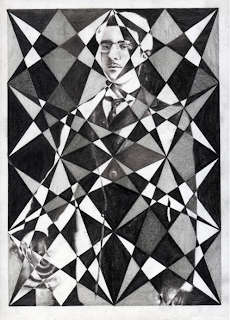 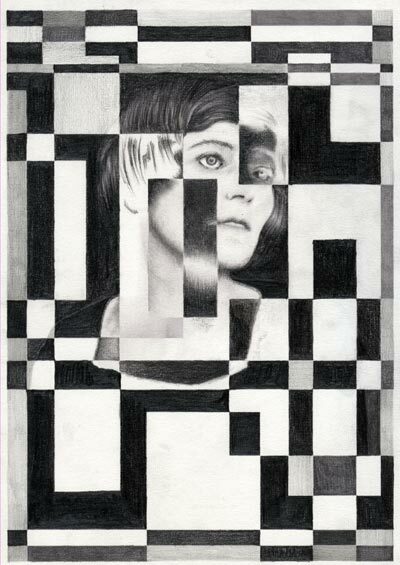 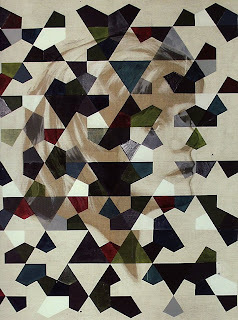 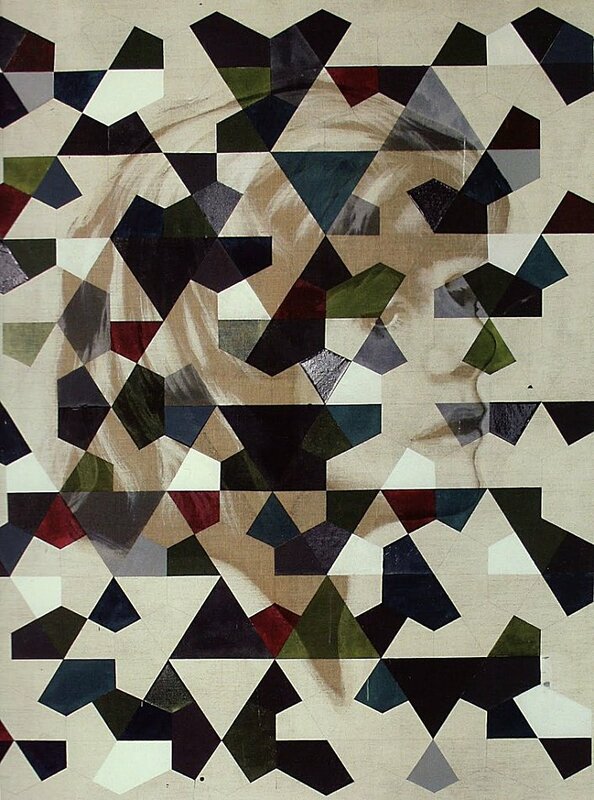 Using traditional portraiture and interplay of geometric constructions, Bitzer work often layers symbolic fragments. 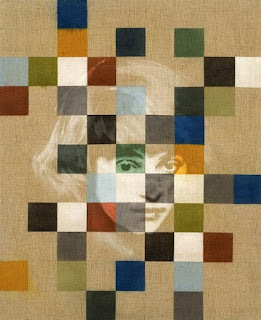 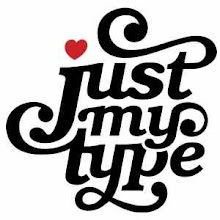 His interest in the symbiotic relationship of the invisible and the real is often present in representation of his characters or subjects. More or less, they are stripped down of their formalities, from their original cultural spatial and temporal context. 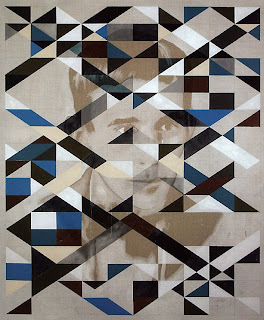 Looking at the conceptual and historical contexts of the nineteenth and early twentieth centuries, I believe that he offers a unique take on classical modernism. Beyond its colorful and at times, monochromatic approach, his exploration and admiration for simplicity boosts the understated contrasts between abstract and figurative representation.